Isn’t that a swell-looking award? All bright and shiny and award-y? Isn’t it swell to get awards? Okay, technically, I didn’t get the award. The Muffin, WOW’s super blog, won that award. 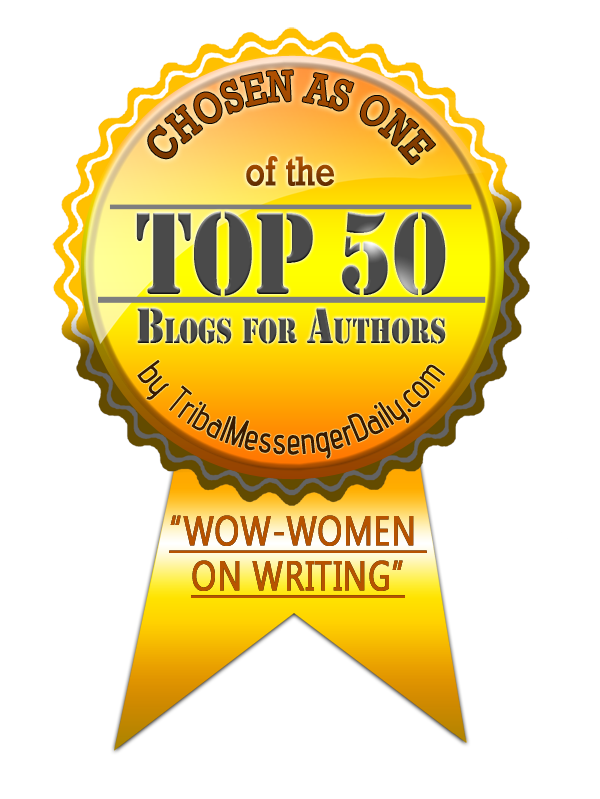 A whole handful of wonderful women writers contribute posts to that blog to make it, according to Tribal Messenger Daily, one of the Top 50 Blogs for Writers. I know a great many of my regular readers also read (and have contributed excellent posts!) to The Muffin, so I’m sure you’re not surprised to find WOW’s blog on the list. But you may find a few surprises on TMD’s list. And maybe you’ll find a blog gem that you’ve missed. There are blogs for freelancers, fiction writers, non-fiction writers…well, there are 50 blogs, so there’s bound to be a blog to have the writing info just right for you. Meanwhile, I’m moving closer and closer to the Top 5,000 Blogs for Writers as compiled by someone named Ricky who lives in his mom’s basement. Yay, me! Just let us know how to contact Ricky (or his mom) and we’ll put in a good word for you, Cath! Oh and BTW, you DO deserve to crow about the 50 Blog award beside you’re a great part of it! Waa! Ricky probably doesn’t even know my blog exists. By the way, Cathy, I got a lovely package today—all the way from YOUR neck of the woods. Thanks so much. I will enjoy reading your story, along with the rest of them. You are one classy Cathy! Thanks. Ricky’s watching you for sure. 🙂 Great, but not surprising award. Especially since you joined the team! You are a generous and helpful writer. You deserve Ricky’s award and more. It’s a great list, and WOW’s Muffin definitely deserves to be there. Congrats!